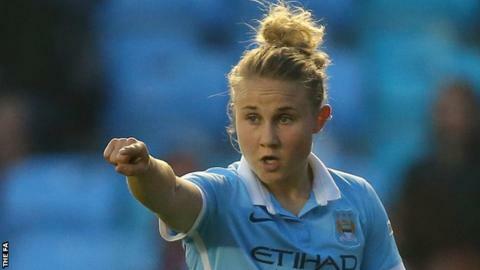 Manchester City Women midfielder Isobel Christiansen has been ruled out for eight weeks with an ankle injury. She sustained the injury in City's 2-0 win against Liverpool Ladies in the FA Women's Cup on 19 March. The 24-year-old, who made her England debut last September, had to be withdrawn in the 11th minute. Christiansen, City's 2015 Player of the Season, helped the club to their most successful league campaign yet with a second-place finish in WSL 1.